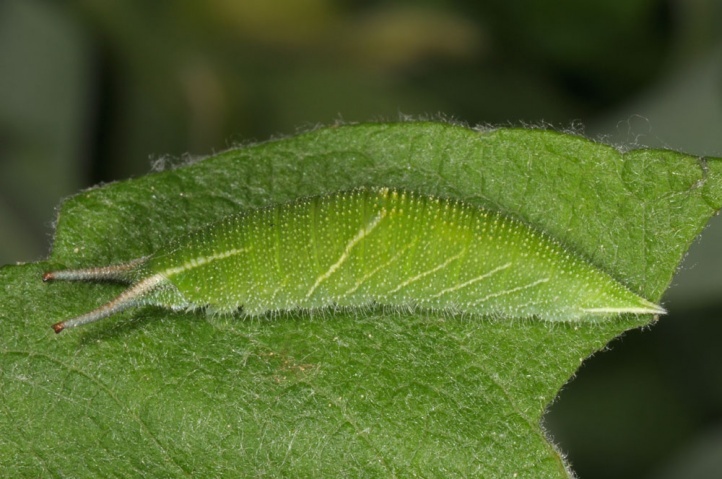 The caterpillars live mainly on Salix caprea, or more rarely on other Salix species (Salix aurita, Salix cinerea, Salix fragilis etc.) 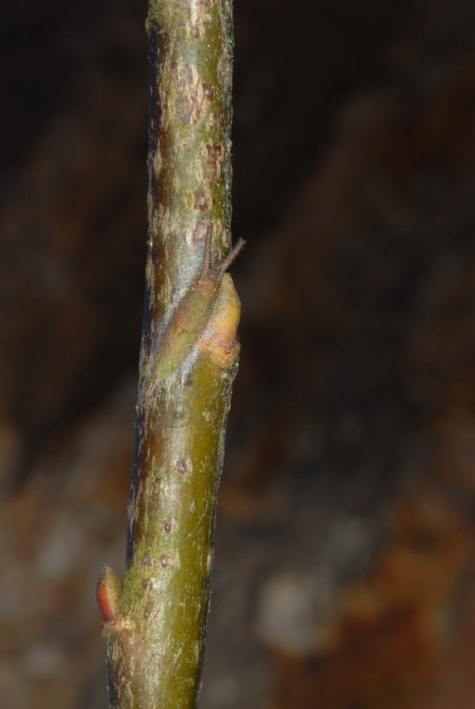 and even more rarely on Populus (own but rarely observations on Populus tremula). 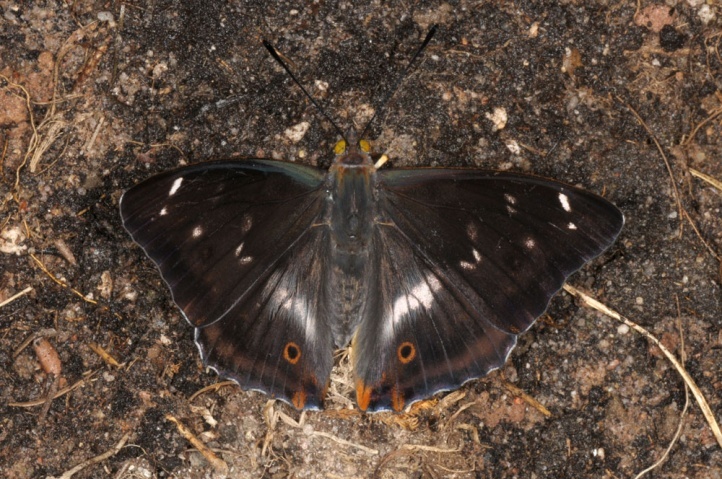 Apatura iris inhabits forests of all kinds, from sea level to about 1200m above sea level (in the south even a bit higher). 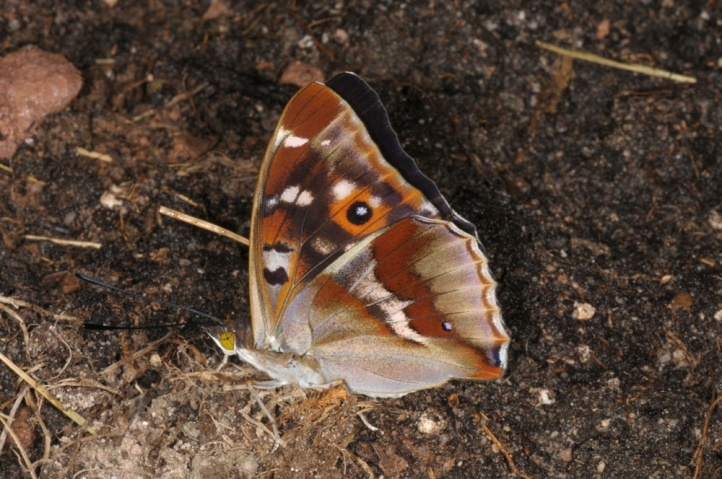 Compared to Apatura ilia Apatura iris also occurs in rather cool coniferous forests. 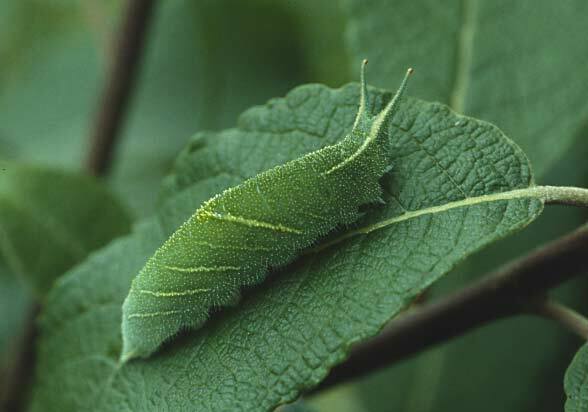 The caterpillars are often found on basement locations (cool, small and shady clearings in sinks, etc. 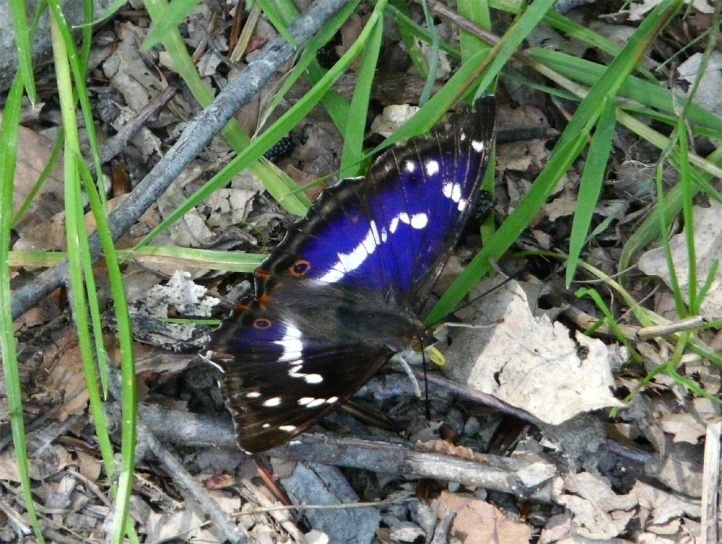 ), but also on more sunny edges of forests from less than 1 to more than 5 meters above ground. 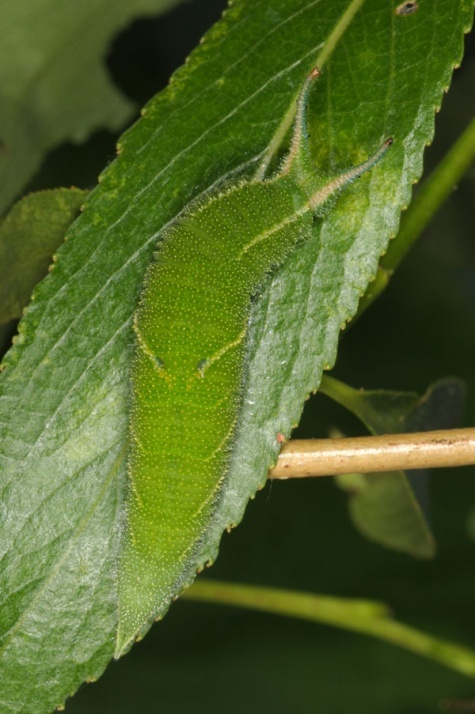 The caterpillar overwinters mostly as L3, rarely probably also as L2, free on smaller, generally one year old branches along buds on a web pad. 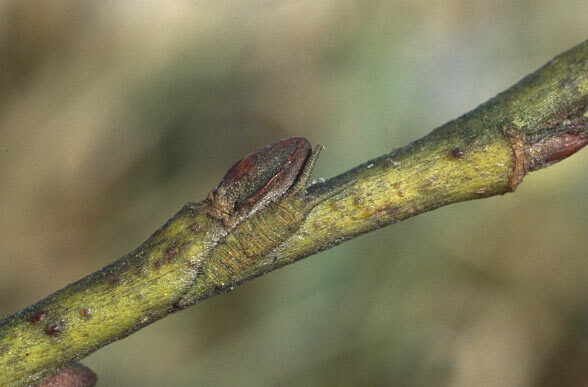 In winter, Apatura iris is therefore easily detectable. 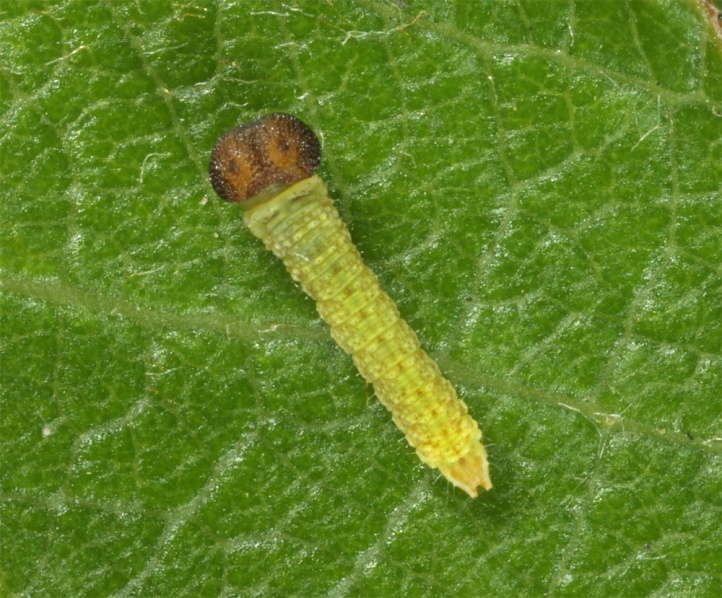 The larvae are mature from late May to June. 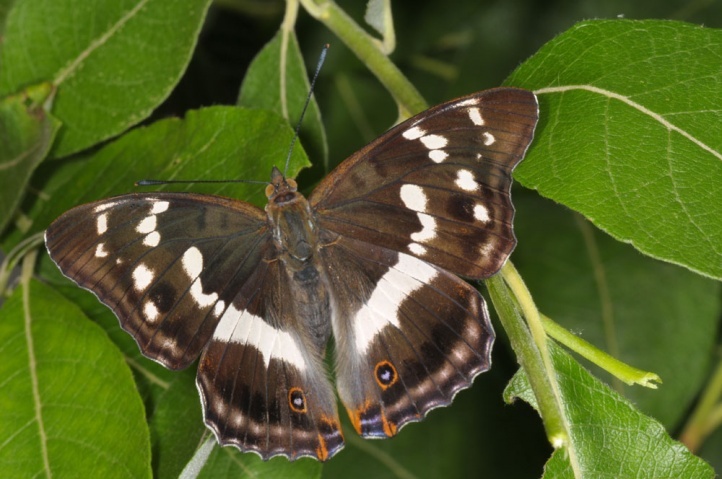 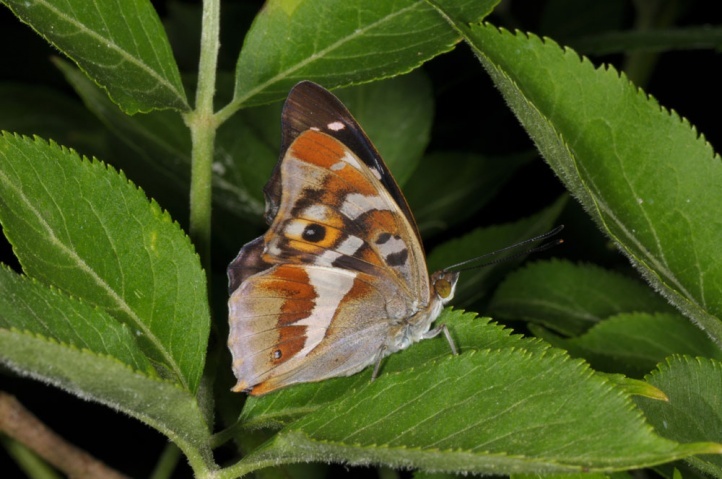 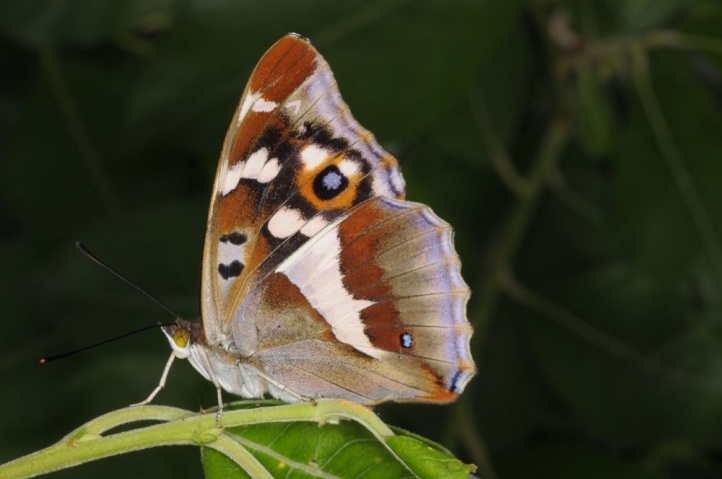 Butterflies can be seen particularly in July, partly already in the mid/end of June and at higher altitudes or in cool years some still in early August. 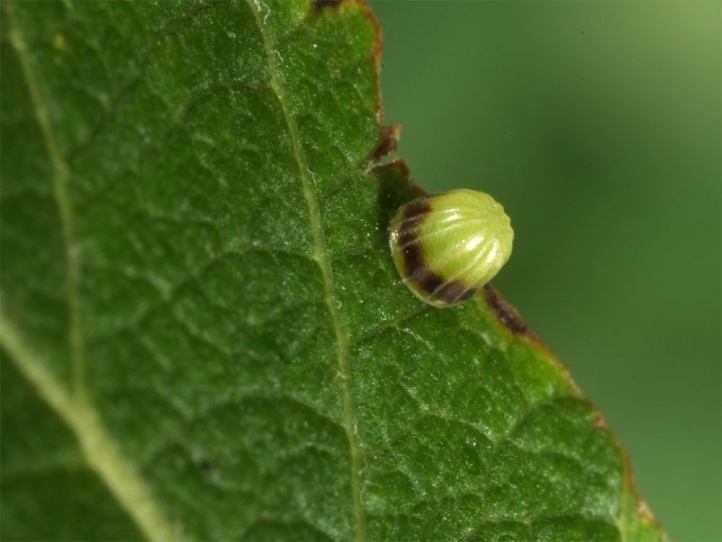 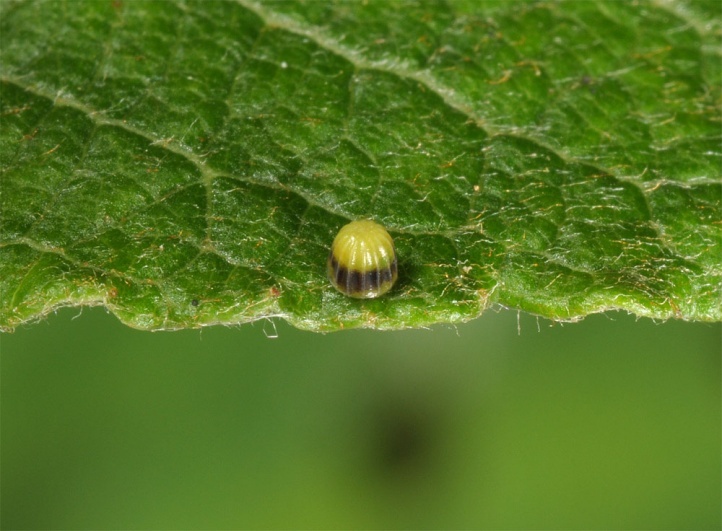 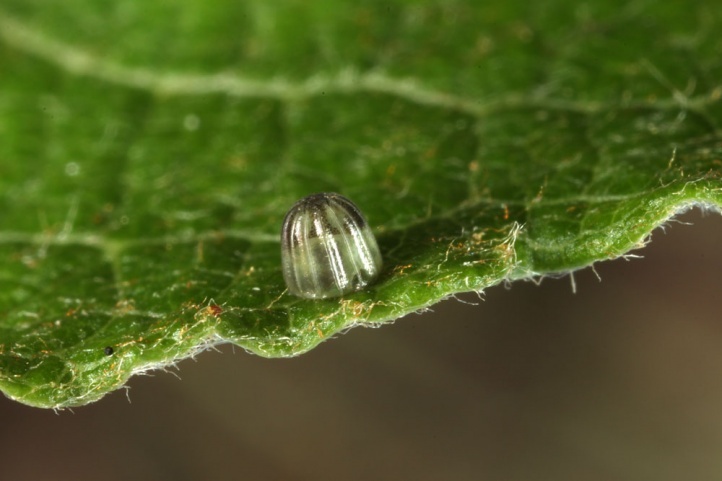 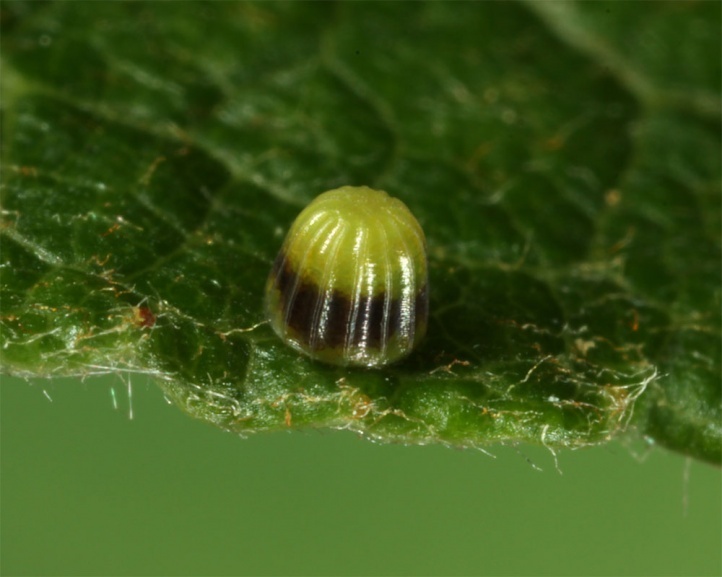 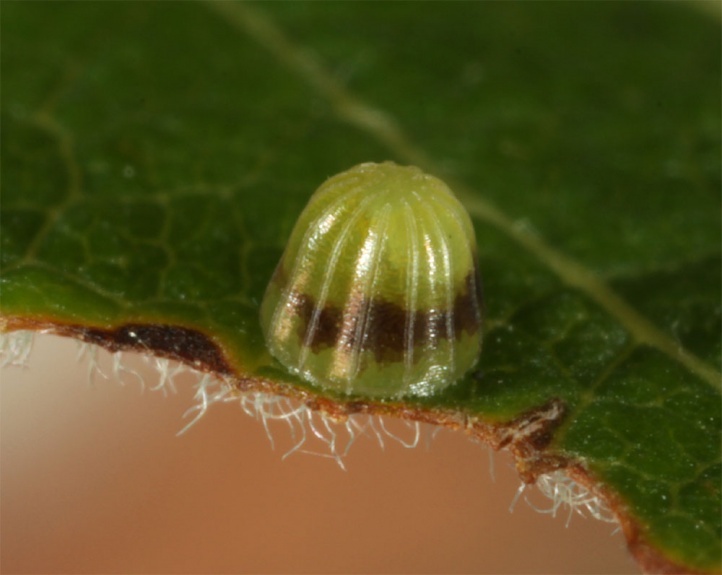 The eggs are found on the upper leaf surface. 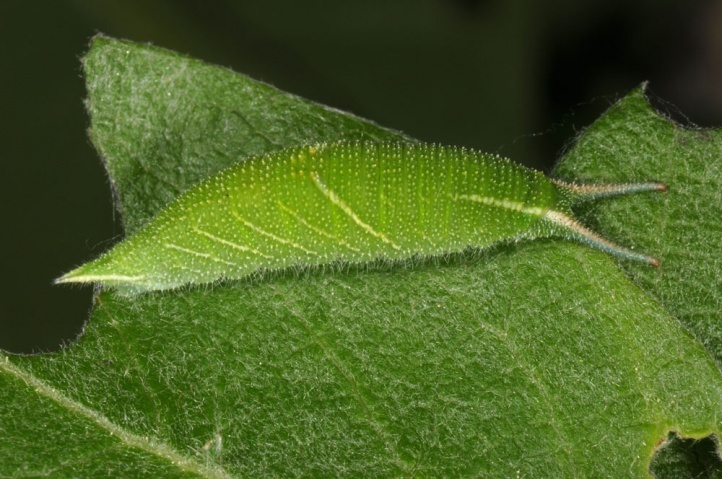 The young caterpillars show a striking feeding pattern when they eat into the leaf from both sides often nearly symmetrically. 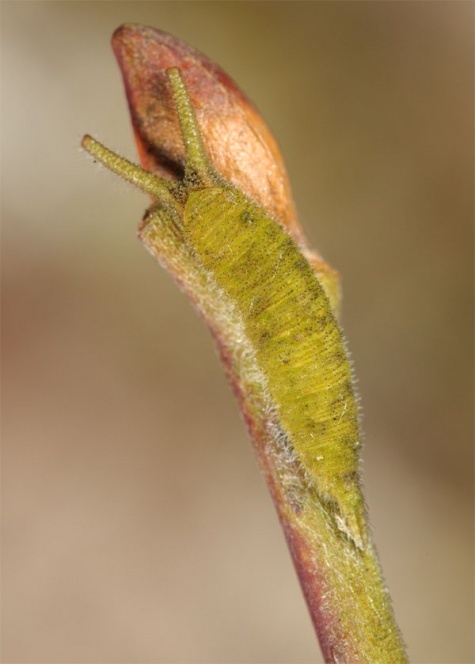 Unlike Apatura ilia, the tip of the head horns in the second instar is is not significantly forked in Apatura iris. 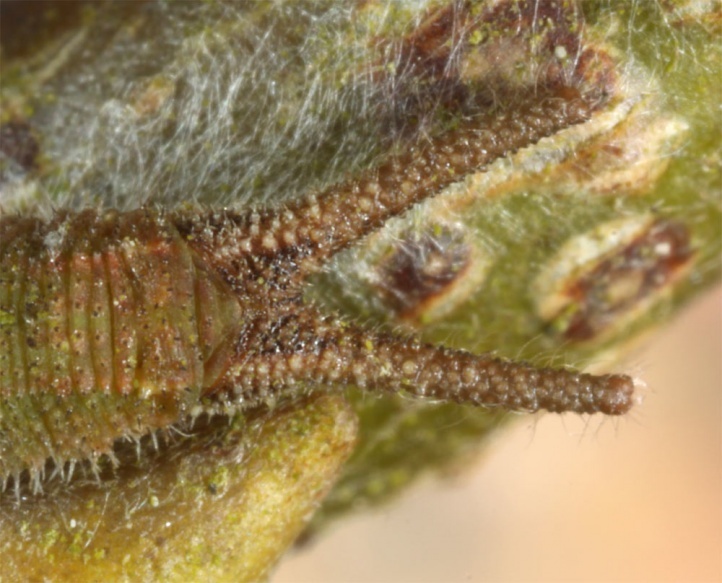 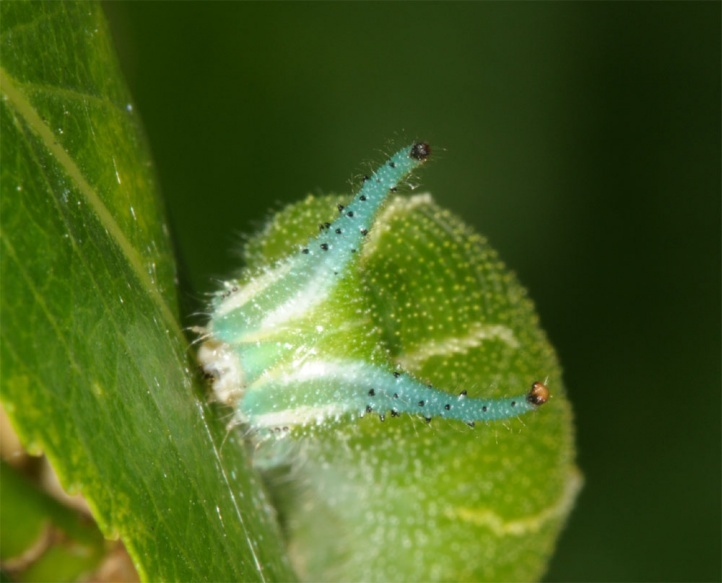 In addition, the Apatura iris caterpillar has a much weaker white dorsal pattern in the middle of the dorsal abdomen. 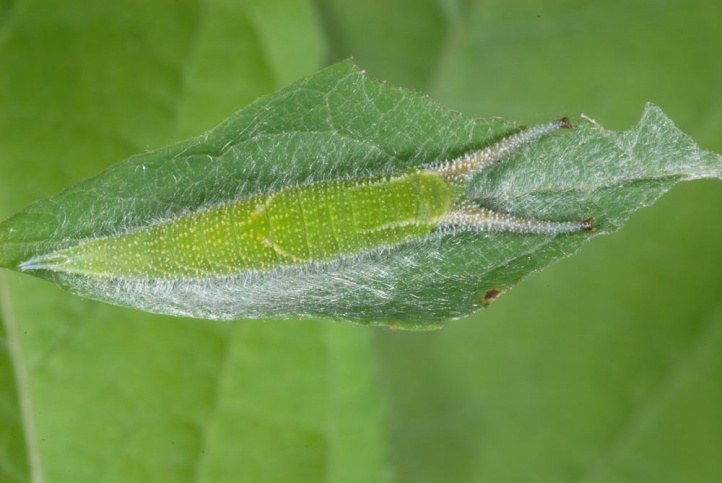 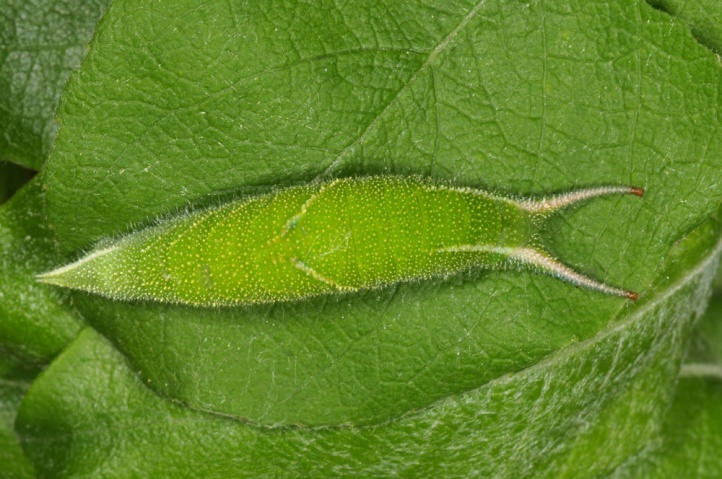 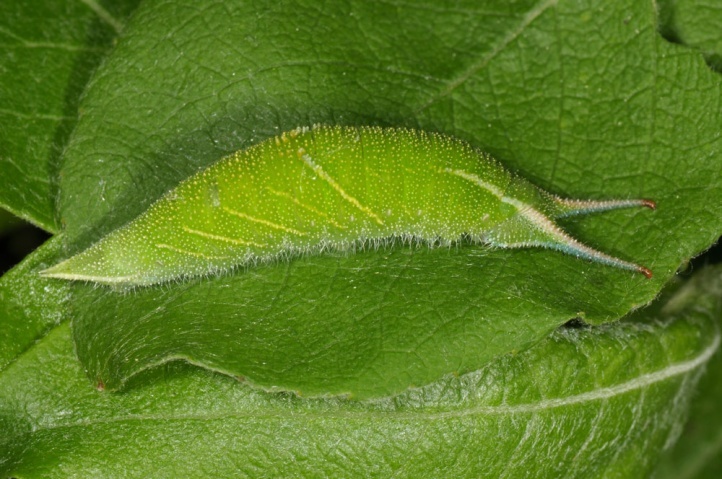 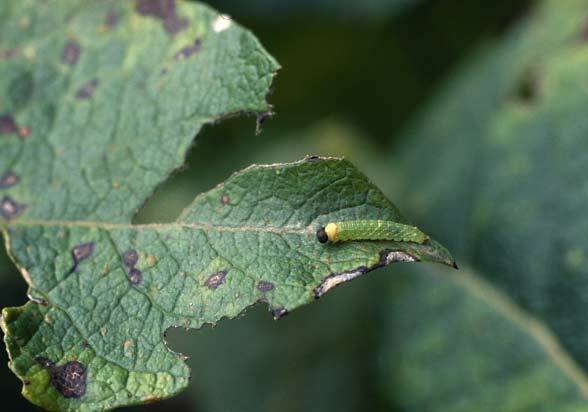 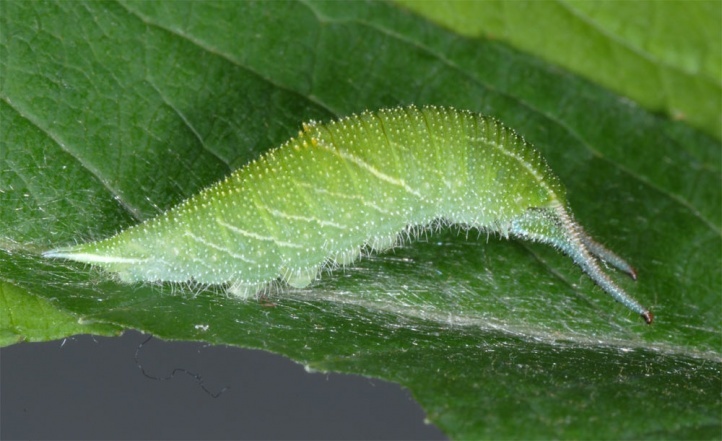 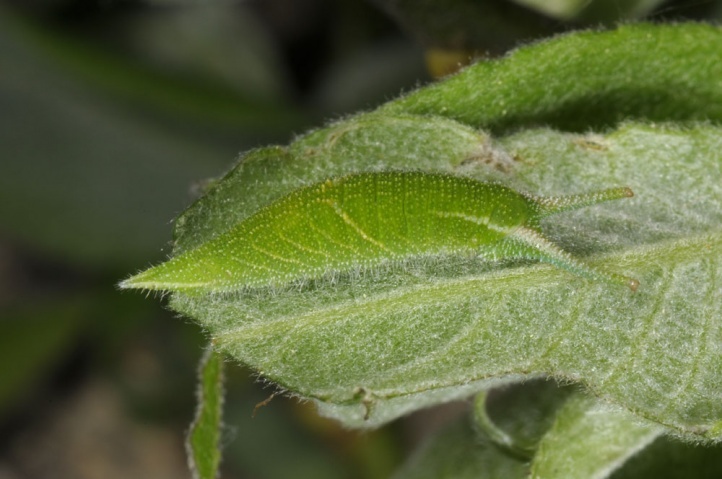 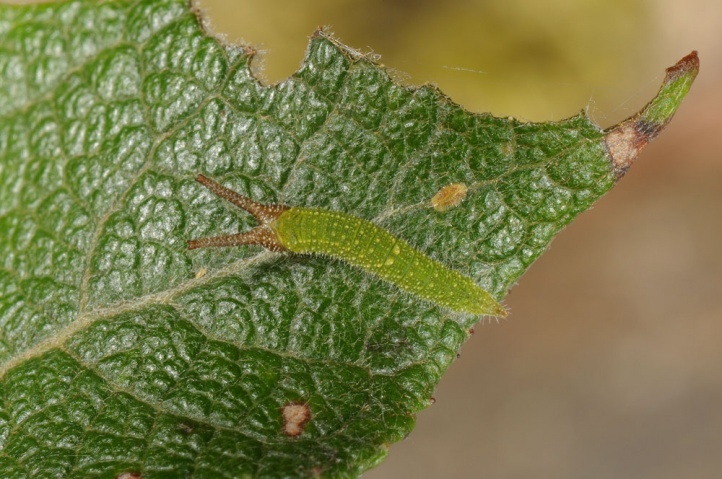 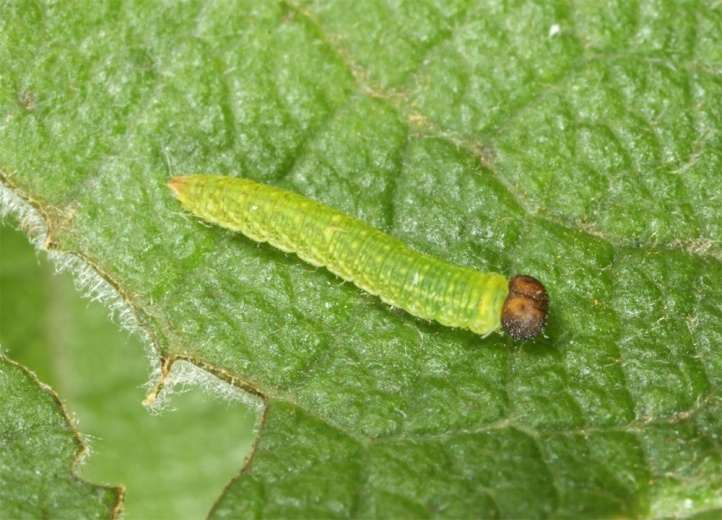 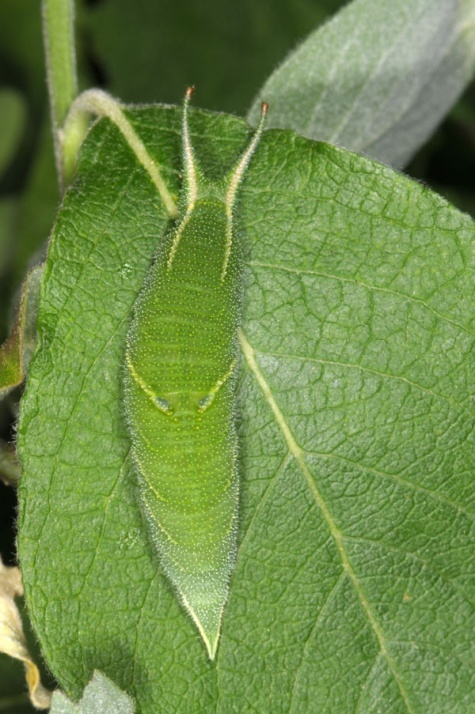 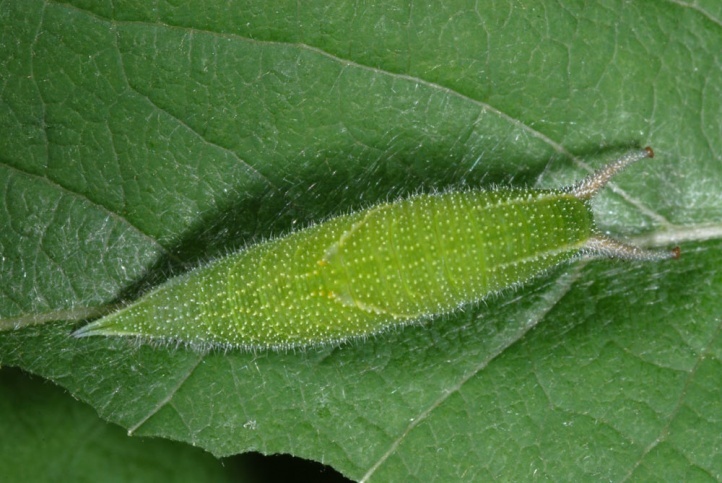 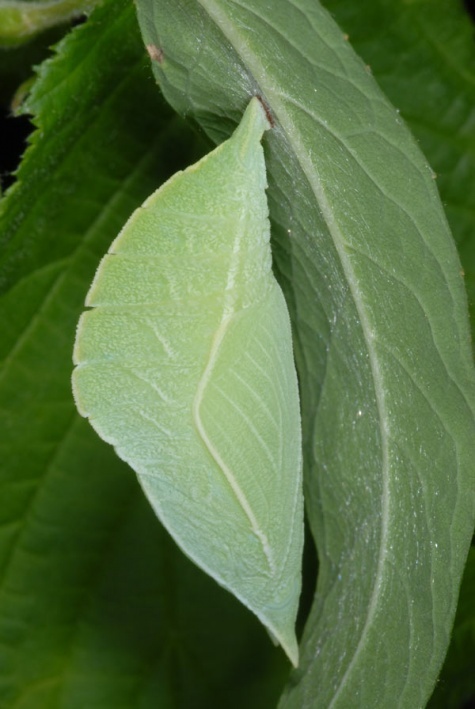 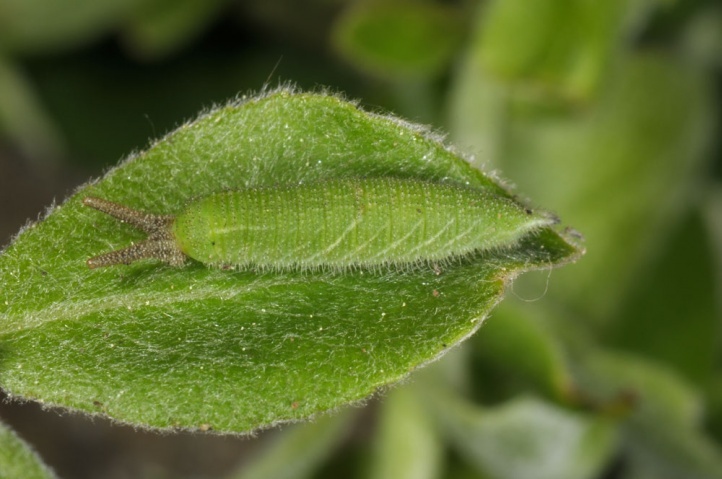 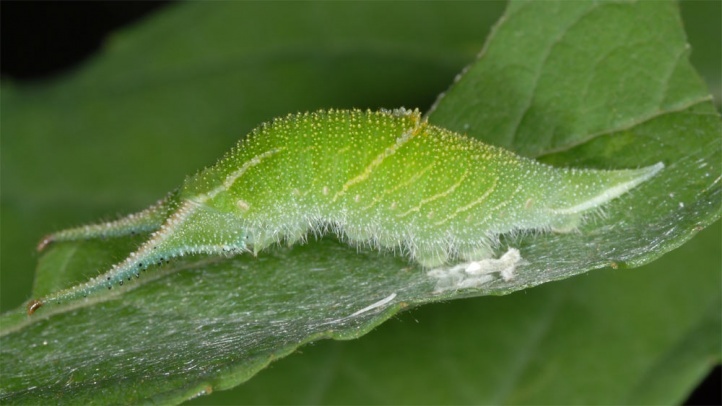 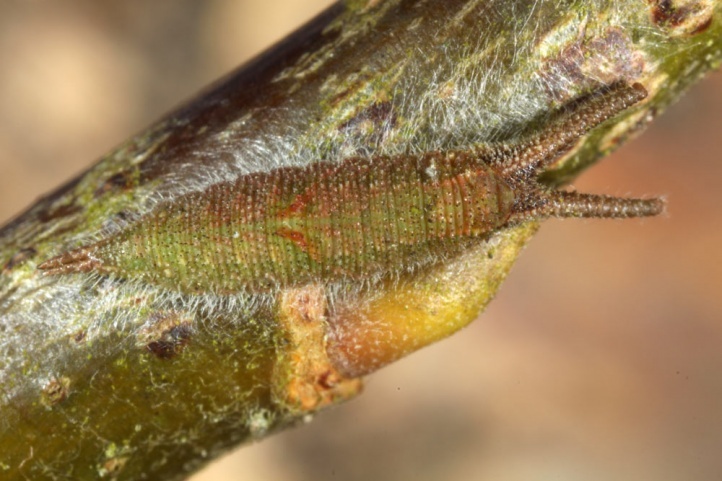 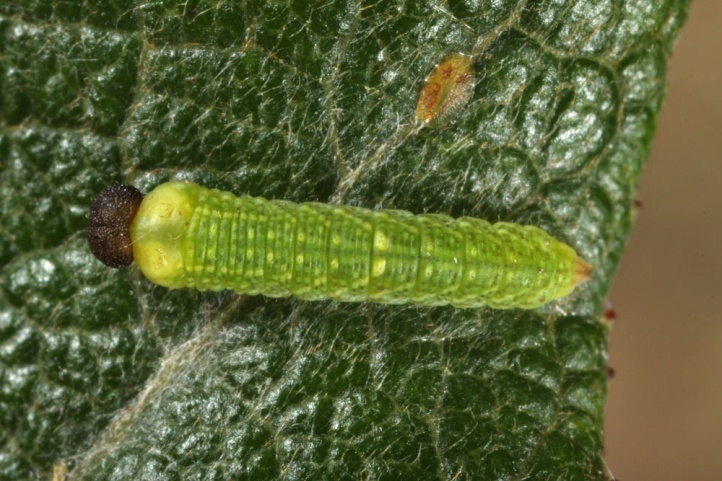 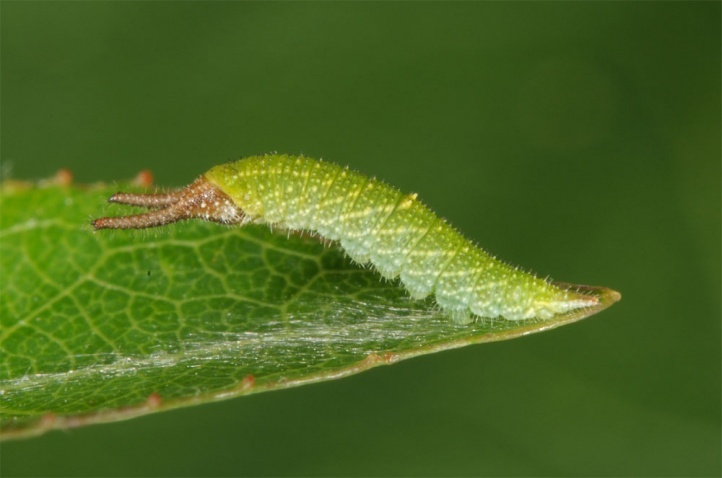 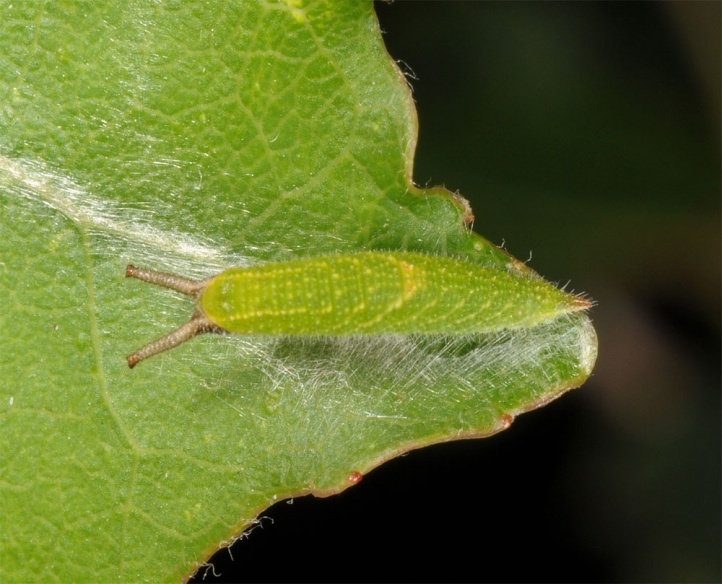 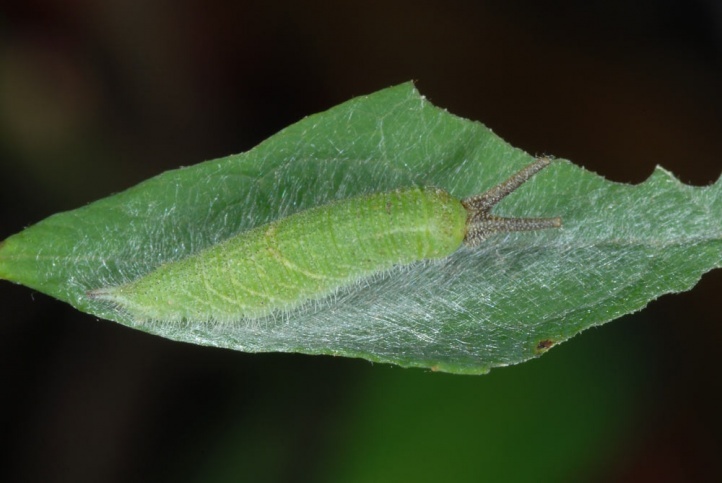 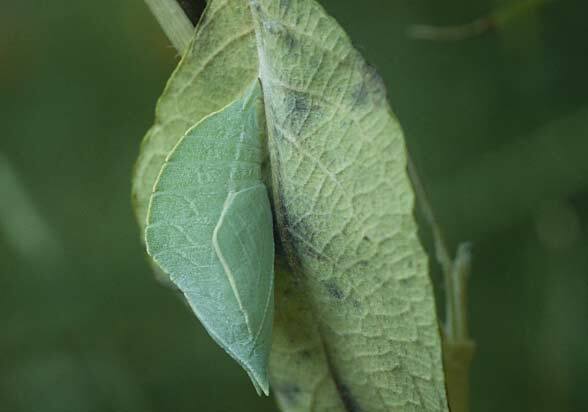 Pupation takes place partly on the tree branches or mostly leaf bases, but also rarely in the herbaceous layer under the tree under broad leaves (own observations). 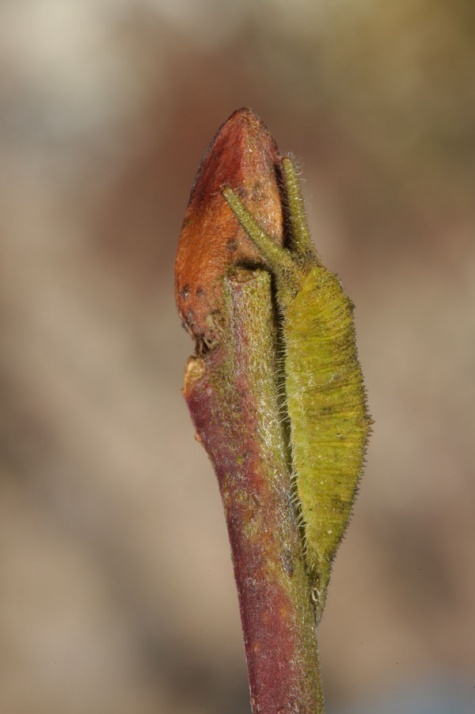 Apatura iris is locally weakly endangered through dense and dark afforestations with conifers, beech and maple without softwood rich inner and outer fringes and the general elimination of economically worthless softwoods. 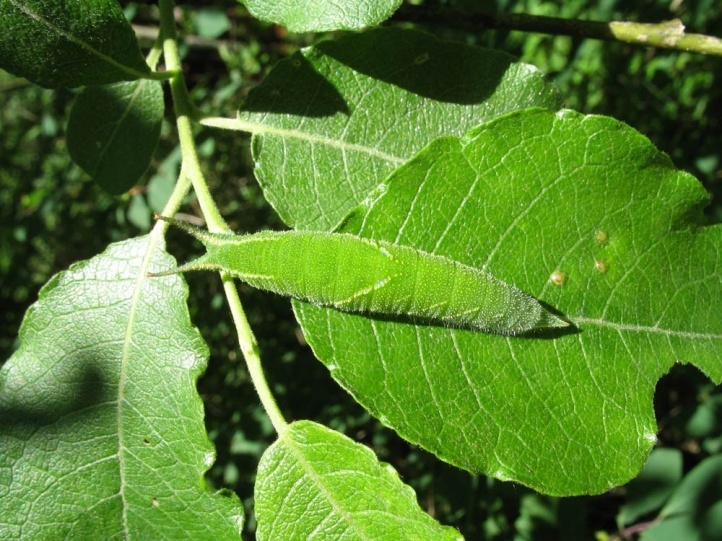 Forest roads should remain unsurfaced and any care measurements for the red wood ant is usually unnecessary (common species)! 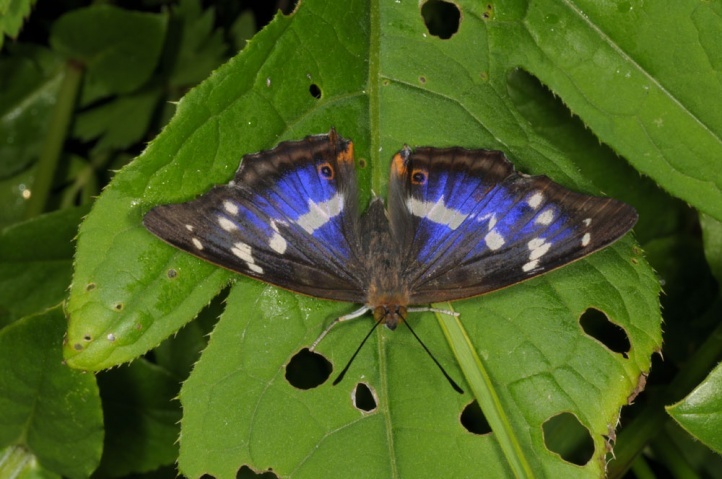 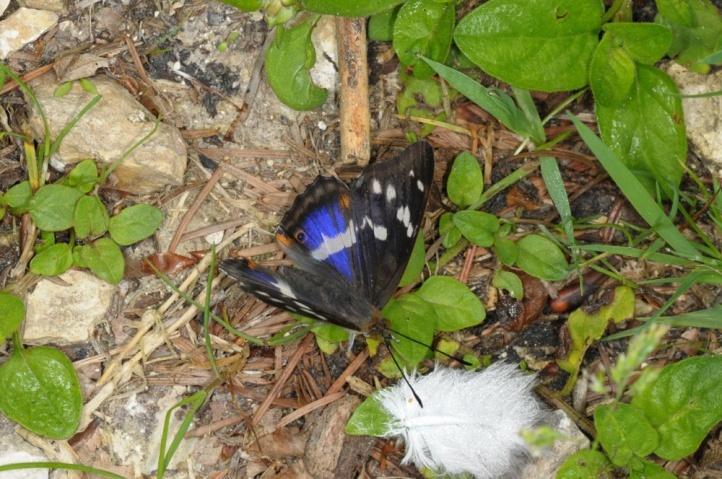 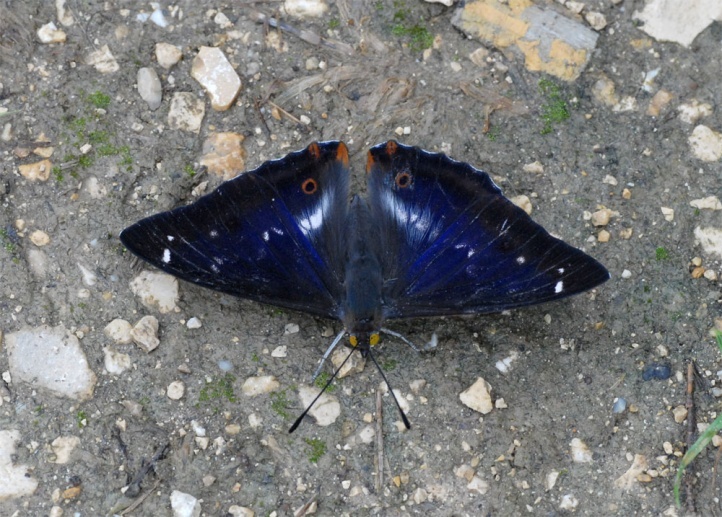 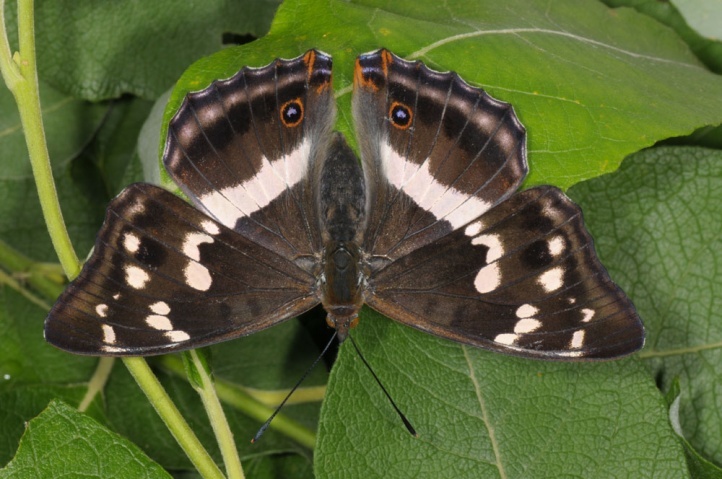 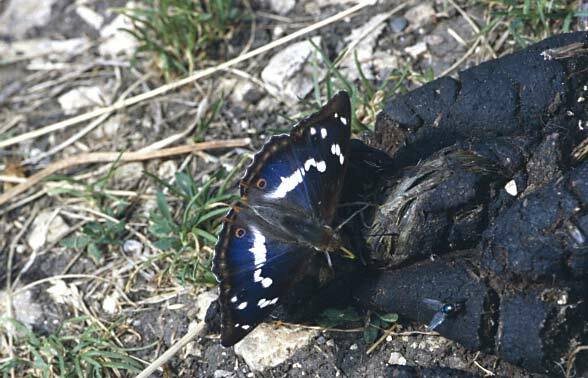 Overall, Apatura iris still occurs (but in rather low abundance) in most of the larger forests in Central Europe and is thus threatened considerably less than about Limenitis populi. 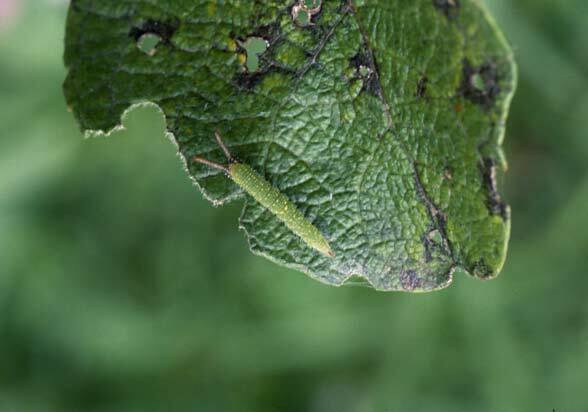 The distribution extends from Northern Spain (local only) through Central Europe and temperate Asia to Korea.